Why everything you think you know about canvassing may be wrong, and how a simple mindset shift can change everything. When you send a homeowner a canvassing letter, does it look a bit like this? Are you thinking of selling your home? If so, we at Brilliant Estate Agents Ltd are delighted to offer you a FREE, no-obligation valuation of your home. Just call us on 01234 56789 and we’ll arrange your FREE valuation straight away. Tom at Brilliant Estate Agents Ltd. If this looks familiar, you’re not alone. The problem with this approach, is that most people do not want to sell their home right now. In fact, if we move on average around every eight years, trying to find the exact day or two when someone is moving from thinking of selling, to booking a market appraisal, is probably around a 1 in 1500 chance your letter will hit their doormat at exactly the right time. And we wonder why canvassing has such a low response rate…. Instead of trying to find clients – vendors or landlords – in your area, focus on identifying responders. Responders are people who are happy to respond to a call to action, so long as it’s in their interest to do so. Responders may not be thinking of selling (or letting) their property right now, but if you can get them to respond now, when they do decide to sell, you’ll be the agent they think of first. Responders like free stuff, be it a gift, or valuable information. I know this because I am a responder. Maybe you are too? Now I’m not suggesting that you write to everyone in your area offering them a free iPad – whilst we responders would love to claim ours, your bank manager may not approve. So what else can you do that is low-cost but still stands out in a crowded market and says ‘Hey! Notice us! We’re different.”? 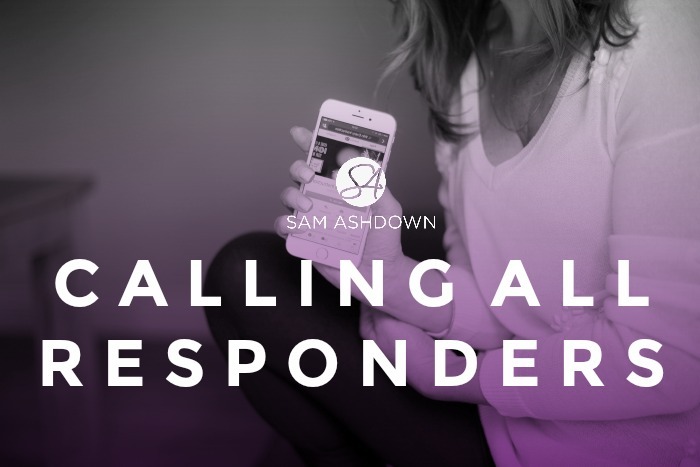 Responder campaigns is something I work on with my clients, in determining exactly the right campaign for them. You don’t want to give away something so valuable that everyone wants it, but at the same time, if you said “call into our office and claim your free teabag’, you may find yourself uninundated with wiling takers. You see, for someone to firstly think of your agency, secondly, consider you as their preferred option and thirdly, instruct you, they have to have had several positive touchpoints with you over a considerable amount of time. (Some of my best current clients and I have been emailing each other for several years.) The more touchpoints, over the longer time period, the warmer that client will be when you knock on their door. Because I too am looking for my responders, I have a gift to offer you. I have created a Canvassing Calendar, packed with lots of ideas, themes and topics for you to try in order to identify your responders in your area. If you would like my Canvassing Calendar, free of charge, just sign up to my Supertips and reply to the initial email you receive. If you already get my Supertips, send me an email and I’ll send it right over to you. Previous post Morning Meetings – Time for Change?